Landon Bruner attended the senior breakfast at his alma mater, Hart Elementary on May 4, 2018. He recreated a photo taken on the last day of school in 2011, when he was a 5th grader with his teachers, Michela Tindell and Shannon Zundel on the last day of school. 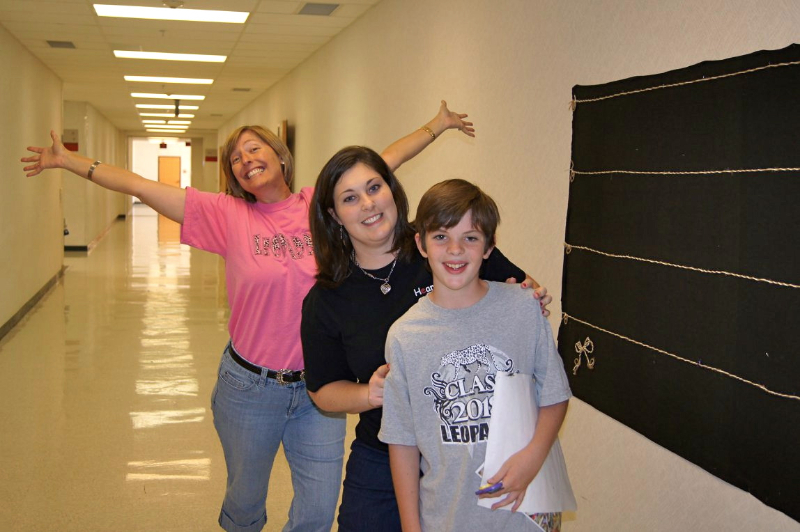 2011 - 5th grader Landon Bruner (Front), Michela Tindall (Middle) and Shannon Zundel (Back). 2018 - 12th grader Landon Bruner (Front), Michela Tindall (Middle) and Shannon Zundel (Back).